“McJob- a low-paying job that requires little skill and provides little opportunity for advancement” (Webster dictionary). But how wrong they are! According to a recent article by our firm’s founder Dr. Jerry Newman and McDonald’s Executive Vice President and Chief Human Resources Officer Richard Floersch, McDonald’s actually has very high employee perceptions of advancement opportunities. Contrast McDonald’s results with numerous studies that consistently show about half of employees do not see long-term careers at their company, and more than one-third of employees believe they must leave their current employer to advance to a higher-level job. Opportunity is Key to attracting employees: A recent Experience Inc survey of 2011 college graduates, 55% list career advancement opportunities as the most important factor in choosing a job (just above pay and challenging work). 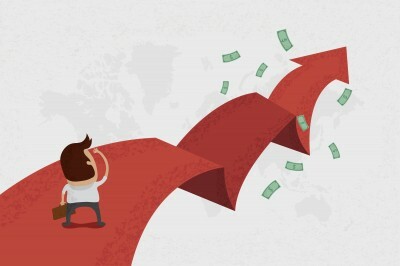 Opportunity is Key to engaging employees: Aon Hewitt found that a clear career path and career development were two top drivers of engagement. Typically organizations have positions with multiple levels, but they are not always clearly defined or communicated. For example, a client had production workers with three levels of responsibility and skill, but they were not apparent to employees. The company decided to title these three levels production, senior production and team leader. The job levels corresponded to different performance expectations and pay levels. Managers were trained to discuss with employees performance against their current job, communicate the “next” level job responsibilities, and mutually agree on a development plan with each employee who was interested in that next level. Employees now know the clear career path, how they get there, and what the reward will be when it is achieved. (Or they can choose to stay in their current position as long as they perform to expectation). Managers now have a clear development plan for every employee and can focus their feedback and training on this plan. This also provided a succession plan by building a core of senior and team leaders to assist the Plant Manager and identified an Assistant Manager who is now quite successful. “Employees expect to be recognized when they do good work. Thanking employees for doing good work is not just common sense, it increases the likelihood that they will want to continue to do good work and serves as a catalyst for attracting and retaining talented employees you and your organization need to be successful.” Dr Bob Nelson. Our July 31 blog post on feedback mentioned that ideally employees want about 6 praises for every 1 correction. To ensure sure managers are providing this level of aligned praise, an organization should have a formal recognition program. 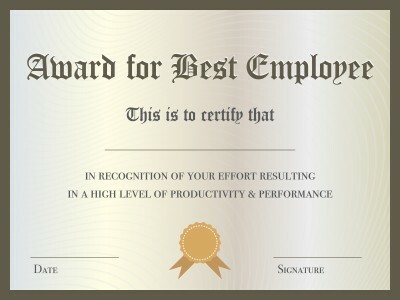 Back to the Aberdeen report (read 7/31 blog post), 65% of Best companies have a formal rewards and recognition program compared to 46% of the lowest performers (and I will bet you $1 that the Best companies have better alignment of recognition with goal-specific employee activities). I remember in college I had a supervisor (another student) who would also say “thanks for your help today” but this did not engender any sense of pride or accomplishment— and now I realize why. He did not specifically explain what I did that was good today, and lost the opportunity to encourage goal-specific activity next shift. What conversation are your managers having with employees and how often?